Welcome To The Canadian Biomaterials Society! 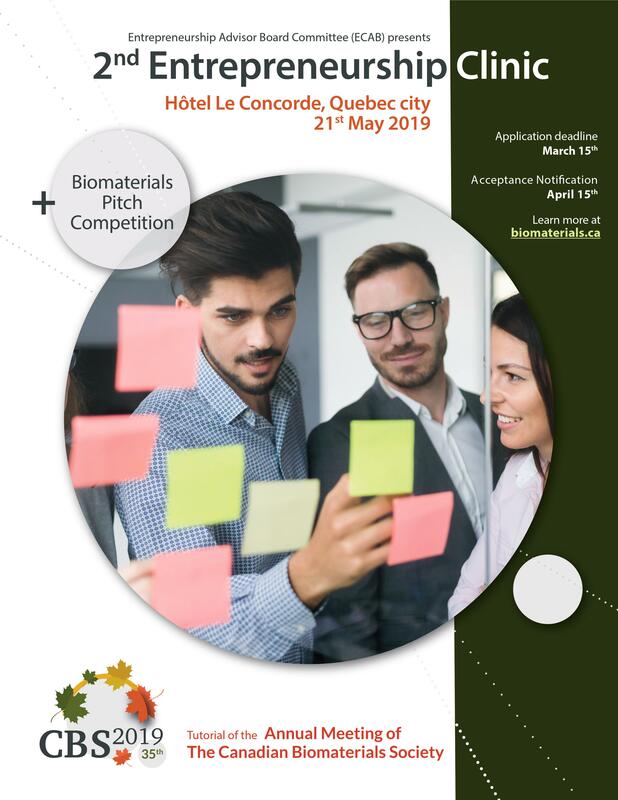 The Canadian Biomaterials Society (CBS) is an incorporated, not-for-profit organization dedicated to the development of biomaterials science, technology, and education in Canadian universities, industry, and government. 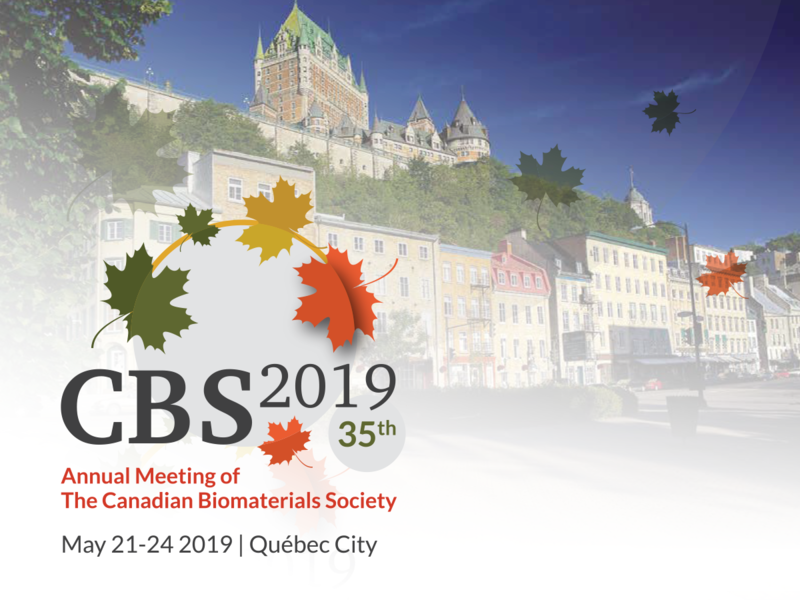 Looking forward to meeting you in Quebec City for the 35th Annual Meeting of the Canadian Biomaterials Society, May 21-24, 2019! Learn more about this workshop and other tutorials available at CBS 2019! Hi everyone!Thanks for joining us for the Biomaterials Seminar held on Thursday, Nov 24, 2016. We would also like to acknowledge Dr. Lingyun Chen for the wonderful talk on Nutraceutical Delivery in Functional Foods as well as for sharing her insights to build an academic career over a coffee!Looking forward to seeing you in our next events!